Before 1891, no book had been published on the technique of geometric computation. 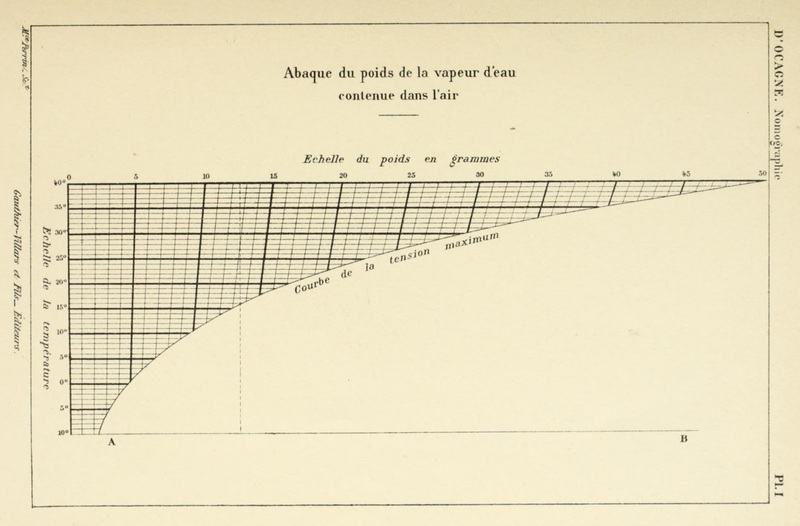 In 1891, Maurice d'Ocagne published Nomographie, Les Calculs Usuels Effectues au Moyen Des Abaques. More on d'Ocagne HERE. Below is Plate I from the book - a relatively simple nomogram that relates the weight of water vapour that air can hold at different temperatures. The image is form a digitised copy of the book HERE.